We live in a world of evolution where things change really fast. Every day we hear of new developments and discoveries in the world. We also see regular changes in the cleaning and restoration industry. Here is the thing – Every few years you will replace your mobile phone or car. You might have noticed that those items you buy to replace the old items do so much more – offering you so much more benefits. Why would you be happy to accept or in most cases EXPECT upgrades to everyday items but still be happy to except your cleaning and floor restoration firm do NOT invest in product or equipment upgrades? Why would companies make a profit from the work you give them and not use some of the profit to re-invest and in turn serve you better? Maybe it is time to invite someone else in to quote for the cleaning of your flooring and furnishings or the sanding and sealing of your wood floor. 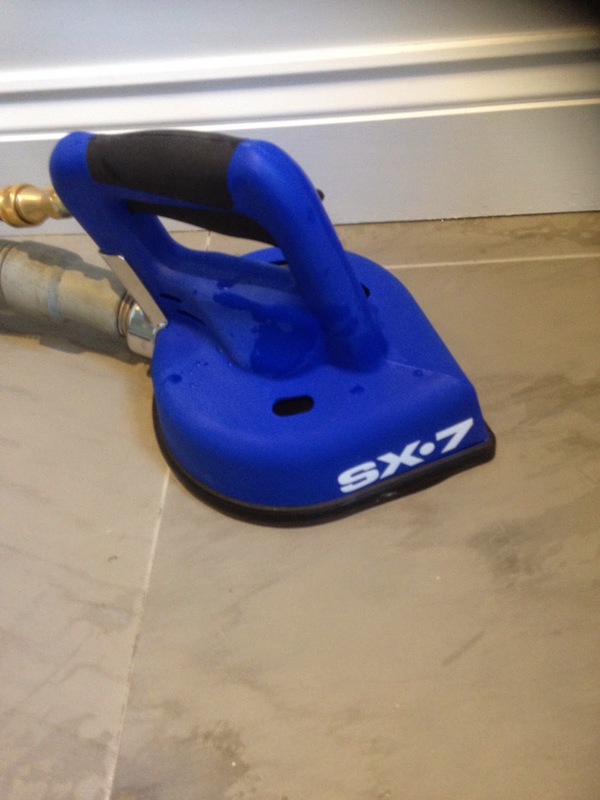 This item helps clean hard floor surfaces by injecting water at higher temperature onto the floor area and then safely extracting it off the floor. This new tool clean well into small corners (notice the nose on the tool) using a jet of water on the nose of the tool. It is also way more controllable and gets more dirt off the floor.